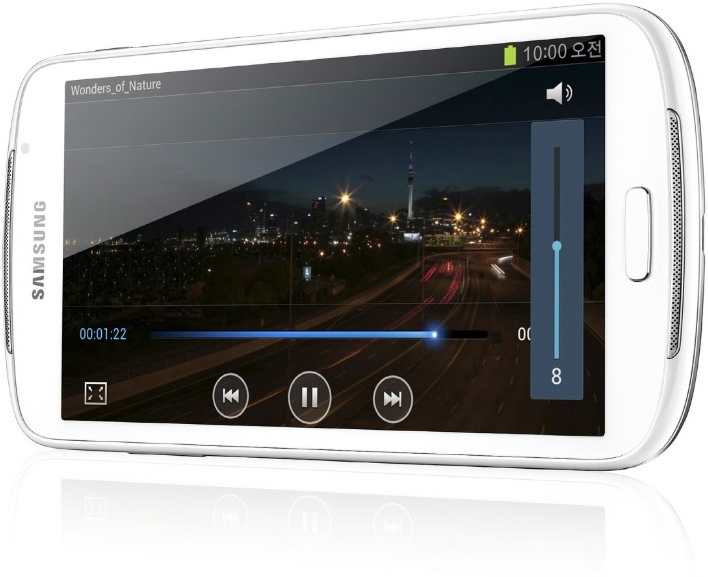 Samsung launches new device to it Galaxy player lineup. This device will have a screen size of 5.8' and will have qHD resolution 960x540. There will be TouchWiz interface over Android 4.0 OS. From the looks it seems it will have a set of stereo speakers one on top and the other on bottom. It will come in 16 or 32GB storage. It will also have a MicroSD slow for storage expansion. Other details are sparse for now, but we will keep you updated.